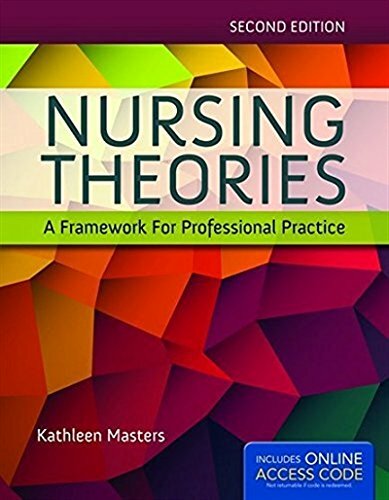 1284048357 -Nursing Theories: A Framework for Professional Practice, Second Edition covers the work of those who have been central to nursing theory for decades as well as many newer theorists. The text draws content from topics such as philosophy, conceptual models and the middle range theories of nursing. The Second Edition features additional practice level or middle range theories with supporting diagrams that illustrate the use the nursing process in the context of the specific theory. Each chapter will also feature call out boxes describing the literature of the theory’s use in nursing practice.